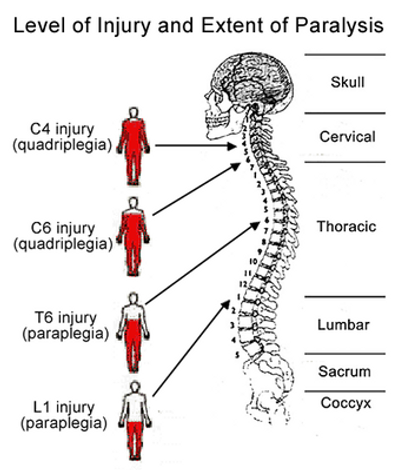 A Spinal cord injury (SCI) refers to any injury to the spinal cord that is caused by trauma instead of disease. Five patients with traumatic paraplegia were given oral Delta-9-THC at 35 mg/day in a double blind, 20-day crossover trial. 2013 - Study ~ Neuroprotection and reduction of glial reaction by cannabidiol treatment after sciatic nerve transection in neonatal rats. 2013 - Study ~ Metabolomics uncovers dietary omega-3 fatty acid-derived metabolites implicated in anti-nociceptive responses after experimental spinal cord injury. 2012- Study ~ A Role for the Cannabinoid 1 Receptor in Neuronal Differentiation of Adult Spinal Cord Progenitors in vitro is Revealed through Pharmacological Inhibition and Genetic Deletion. 2012 - Study ~ The interaction between intrathecal administration of low doses of palmitoylethanolamide and AM251 in formalin-induced pain related behavior and spinal cord IL1-β expression in rats. cord IL1-β expression in rats. 2011 - Study ~ Cannabinoid Agonists Inhibit Neuropathic Pain Induced by Brachial Plexus Avulsion in Mice by Affecting Glial Cells and MAP Kinases. 2011 - Study ~ Effects of palmitoylethanolamide on release of mast cell peptidases and neurotrophic factors after spinal cord injury. 2011- Study ~ Targetting CB1 Cannabinoid Receptor for Neuroprotetion in Spinal Cord Injury. 2011 - Study ~ Spinal Cord Injuries Induce Changes of CB1 Cannabinoid Receptor and C-C Chemokine Expression in Brain Areas Underlying Circuitry of Chronic Pain Conditions. 2011 - Study ~ Modulation of inflammatory responses by a cannabinoid-2-selective agonist after spinal cord injury. 2011- Study ~ Activation of spinal and supraspinal cannabinoid-1 receptors leads to antinociception in a rat model of neuropathic spinal cord injury pain. 2011- Study ~ Cannabidiol-treated Rats Exhibited Higher Motor Score After Cryogenic Spinal Cord Injury. 2011 - Study ~ Spinal cannabinoid CB2 receptors as a target for neuropathic pain: an investigation using chronic constriction injury. 2010 - Study ~ Cannabinoid receptor-mediated antinociception with acetaminophen drug combinations in rats with neuropathic spinal cord injury pain. 2010 - Study ~ Effect of dronabinol on central neuropathic pain after spinal cord injury: a pilot study. 2010 - Study ~ Cannabinoid subtype-2 receptors modulate the antihyperalgesic effect of WIN 55,212-2 in rats with neuropathic spinal cord injury pain. 2010 - Study ~ The endocannabinoid 2-arachidonoylglycerol reduces lesion expansion and white matter damage after spinal cord injury. 2010 - Study ~ A randomized, double-blinded, crossover pilot study assessing the effect of nabilone on spasticity in persons with spinal cord injury. 2009- Study ~ Sustained antinociceptive effect of cannabinoid receptor agonist WIN 55,212-2 over time in rat model of neuropathic spinal cord injury pain. 2009 - Study ~ The nonpsychotropic cannabinoid cannabidiol modulates and directly activates alpha-1 and alpha-1-Beta glycine receptor function. 2009 - News ~ Medical Marijuana and Whiplash. 2008 - Study ~ Effects of palmitoylethanolamide on signaling pathways implicated in the development of spinal cord injury. 2006 - Study ~ Treatments for Chronic Pain in Persons With Spinal Cord Injury: A Survey Study. 2006 - Study ~ Antinociceptive effect of cannabinoid agonist WIN 55,212–2 in rats with a spinal cord injury. 2006 - Study ~ Effects of a Cannabinoid Agonist on Spinal Nociceptive Neurons in a Rodent Model of Neuropathic Pain. 2006 - Study ~ Cannabinoids In Medicine: A Review Of Their Therapeutic Potential. 2006 - Study ~ The treatment of spasticity with Delta(9)-tetrahydrocannabinol in persons with spinal cord injury. 2003 - Study ~ The treatment of spasticity with D9-tetrahydrocannabinol (D9-THC) in patients with spinal cord injury. 2004 - Study ~ Are oral cannabinoids safe and effective in refractory neuropathic pain? 2001 - Study ~ Selective cannabinoid CB1 receptor activation inhibits spinal nociceptive transmission in vivo. 2001 - Study ~ Clinical investigation of delta-9-tetrahydrocannabinol (THC) as an alternative therapy for overactive bladders in spinal cord injury (SCI) patients. 1997 - Study ~ Involvement of Dynorphin B in the Antinociceptive Effects of the Cannabinoid CP55,940 in the Spinal Cord. 1996 - Study ~ The effect of orally and rectally administered delta-9-tetrahydrocannabinol on spasticity: a pilot study with 2 patients. 1995 - Study ~ Treatment of spasticity in spinal cord injury with dronabinol, a tetrahydrocannabinol derivative. 1990 - Study ~ Delta-9-tetrahydrocannabinol shows antispastic and analgesic effects in a single case double-blind trial. 1986 - Study ~ The effect of delta-9-THC on human spasticity. 1982 - Study ~ Cannabis effect on spasticity in spinal cord injury. 1980 - Study ~ Marihuana as a therapeutic agent for muscle spasm or spasticity. 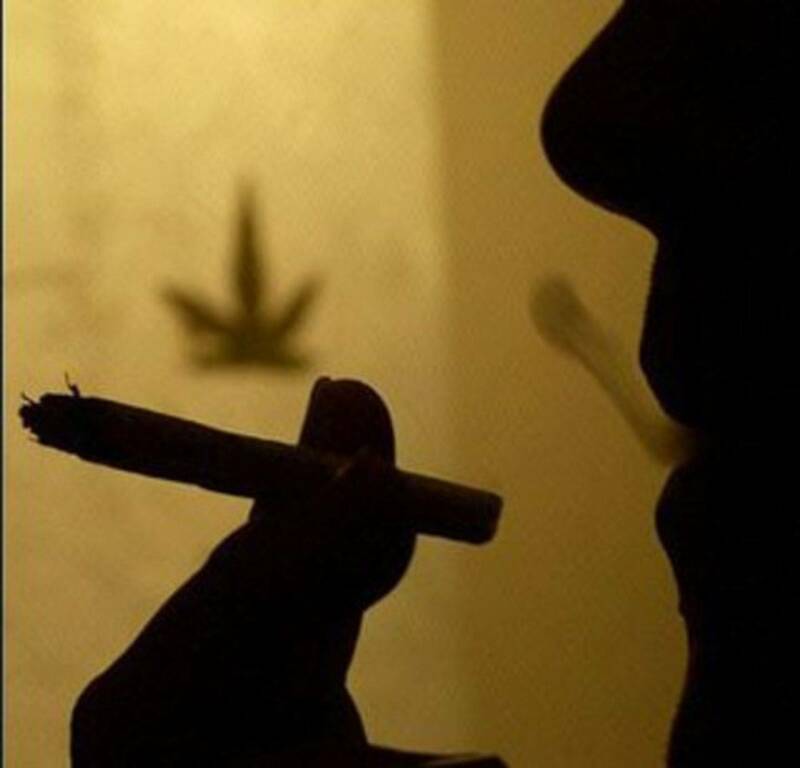 1974 - Study ~ The perceived effects of marijuana on spinal cord injured males.